What does Urban Forestry and Urban Greening mean for our daily lives? 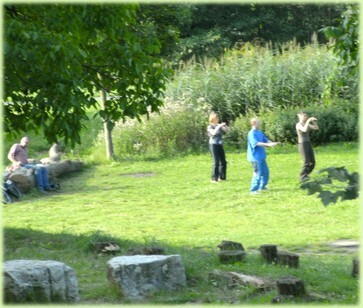 Public green space offers us recreational and quiet space in our busy lives (e.g. 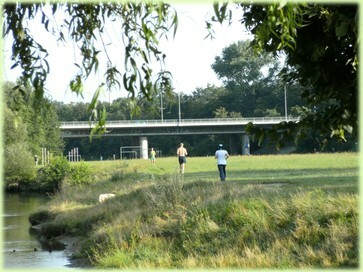 lunch break at the local park), open space for sports and other activities, space for recreational activities (e.g. long walks, nature observations, social meetings) and many more. With increasing urbanisation of country regions all over the world, the importance of open green space for human recreation and wellbeing also increases dramatically for the world's rising population. It is especially important to connect city people to their natural environment and make them aware of its role for their emotional and physical wellbeing. As human stress is increasing due to the busy life styles at work and in people's private lives, new industries have appeared that try to help people to gain their mental and emotional wellbeing again, based on eastern philosophies. To create free space, on the outside as on the inside, people must recognise themselves as part of a natural system. More and more people realise that only this way one can reach personal harmony and inner wellbeing. Urban green spaces play a significant role for people to have social contacts or find rest in order to achieve this inner harmony and wellbeing. The aim is to improve our quality of life in an incresingly densely populated, fast-living world. People have to find back to natural and green open spaces that become more and more important for our personal development, wellbeing and recreation due to increasing urbanisation.